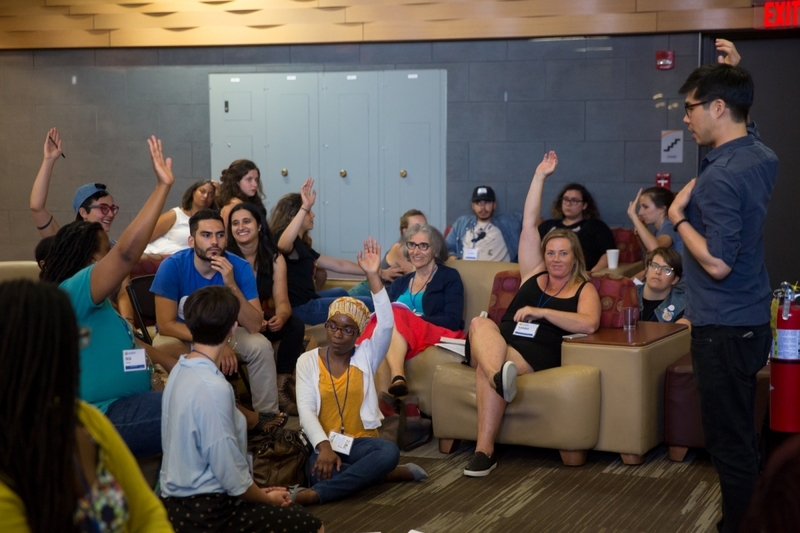 Register today to attend one of 13 Network Gatherings kicking off CommonBound on Friday, June 22nd. Network Gatherings are volunteer-organized full or half-day mini-conferences connecting movers and shakers on the topics like bridging movement divides, energy sovereignty, radical philanthropy, moving the movement for worker cooperatives, practicing governance in a solidarity economy and more. CommonBound’s 5 Site Visits are unique opportunities to explore St. Louis neighborhoods and community spaces through a local lens. Join us for a walking tour of The Ville, a historic African American neighborhood; a trip to The Griot Museum of Black History; or work day with A Red Circle. Learn more and sign up to hold your spot by June 16! Sign up for Network Gatherings and Site Visits when you register for CommonBound. See you in St. Louis, next week!